There are eleven names remaining in the hat for the Grade Two OLBG.com Mares' Hurdle at Ascot on Saturday. Registered as the Warfield Mares' Hurdle, the contest is run over a distance of about 2 miles 7½ furlongs, where there are thirteen hurdles to be jumped. It was first run back in 2008, but you would be wrong in thinking eleven hopefuls are going for the eleventh renewal. There was no race in 2013, and the 2017 running was cancelled after the original fixture at Ascot and a rescheduled race at Huntingdon were both abandoned due to frost. Last year, Warren Greatrex's La Bague Au Roi made it four from four for the campaign, before going on to blow out in the Mares Hurdle behind Benie Des Dieux. However, she has loved life over fences since transitioning back in November, and won her first Grade One in the Kauto Star at Kempton over Christmas. This time around, Warren Greatrex is represented with Petticoat Tails, who twice this season has finished behind Noel Williams' Sensulano. The 5yo however was brushed aside in a match-up against one of the best in the division - Laurina, at Sandown earlier this month. Sensulano looked out her depth that day, and with this being a grade lower, Greatrex has a chance with his 7yo mare if you are going on the basis of that form line. Also with a chance is Molly Childers, who in her last seven outings, has managed no wins but as many as six second-placed finishes. Always seeming to find one too good, she could run into another place, and her current each-way price of 14/1 looks tempting. The top of the market looks rather tight, with up to five horses all vying for favouritism. Culture De Sivola narrowly heads the way at the time of writing for Nick Williams, who won a Mares handicap over Christmas - beating Molly Childers. She was only three lengths down on Mia's Storm in Listed company on her seasonal return at Kempton; a race where If You Say Run was desperately unlucky not to win. Having won easily at Wincanton on her first appearance of the season in seven months, she headed to Kempton as a strong fancy to serve it up the Alan King's top mare. She led after the last, but hung badly left and was forced to switch around the rails. It was a messy finish, but hopefully without wandering around, Harry Cobden can keep her straight this time, and she looks a serious danger. Jester Jet - similarly to Molly Childers, just cannot seem to manage a win for Tom Lacey. Four starts this term, four times she has been the runner-up, albeit three of those were over fences. A switch back to hurdles might prove the different for the 9yo, along with Jessica Harrington's Magic Of Light, who has been on a roll chasing, and makes a surprise return to timber. She absolutely bolted up at Newbury in a Mares Chase just before Christmas, and 3/1 looked a present for many that day. The 8yo is one of five looking to head affairs in the betting ring, along with Nicky Henderson's Casablanca Mix completing the quintet, who was ninth to Frodon in the Caspian Caviar Gold Cup at Cheltenham a month ago. Slightly different scenery here, but has some great days in France over hurdles for Emmanuel Clayeux. This would be only her second start over timber in England for the Champion Trainer, having finished fourth on her debut. Rons Dream and Papagana are others that hold strong each-way credentials for Peter Bowen and Oliver Sherwood respectively. 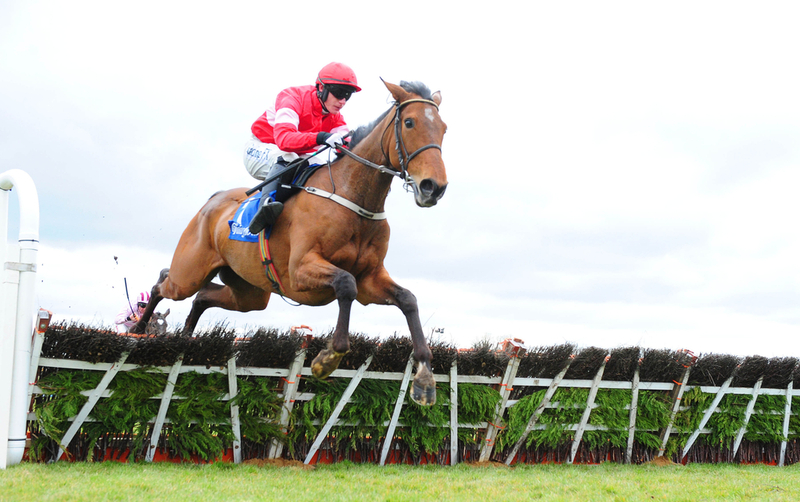 Since 2008, there have been nine renewals of the Warfield Mares Hurdle. Harry Fry has a decent record in this race, with two wins in the last four runnings, however he has no runner this term. Since 2012, only Ruby Walsh and Noel Fehily have won this race jockey-wise, for four different trainers, but we will see a new winning jockey this time around as both are ruled out of this contest. Walsh does not have a ride, and Fehily is recovering from Appendix surgery. Since 2014, all the winners have been aged seven, and for the three years prior to that - aged six. A third of the last nine winners, had raced at Ascot previously. Two thirds of the last nine winners had ran at either Haydock or Newbury in their last outing - five of which winning. Seven of the last nine winners had won at least twice over hurdles in the UK before, with one more winning over the distance of two miles and five furlongs. All of the winners in this race's history were priced at 8/1 or shorter in the betting beforehand. Only one was outside the top four in the betting. Six of the last nine favourites placed - five of them winning. Eight of the last nine were officially rated 133 or higher. The same number later ran in that season’s OLBG Mares’ Only Hurdle at the Cheltenham Festival, one of them winning (Vroum Vroum Mag in 2016). Two of those went onto finish second in the same contest.